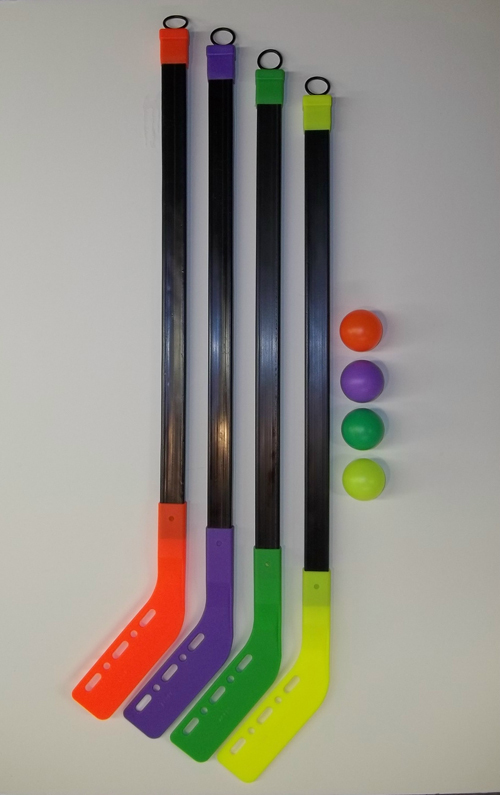 These Hockey Sticks come in (4) different colors to choose from. Each Hockey Stick comes with a matching color Hockey Ball. The Hockey Stick and Hockey Ball are all made of plastic. The Hockey Stick blade is made very sturdy.